Many people, often without realising it, will come into contact with a trust of some sort during their lifetime. Yet trusts are widely misunderstood and often seen as the preserve of the wealthy. 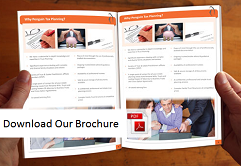 This brochure aims to give a quick overview of how trusts work, what they are most commonly used for and to correct some of the misconceptions held about trusts. Trusts are becoming a more widespread tool in the search to protect and preserve family assets. The exact technical details of trusts, how they are set up and taxed vary from client to client, so this guide focuses only on some of the broader principles.